Bow and Bay Windows are a fantastic way to bring a sense of grandeur to your home. Offering increased light and space, Bay and Bow windows extend outwards from your home, and offer beautifully panoramic views. This wonderful design usually consists of three or more double glazed casement windows, varying in sizes. Featuring the market-leading profile from Liniar, and world-class locking systems from Yale, our Bow and Bay windows completely excel across the board, including outstanding levels of security, durability and thermal efficiency. 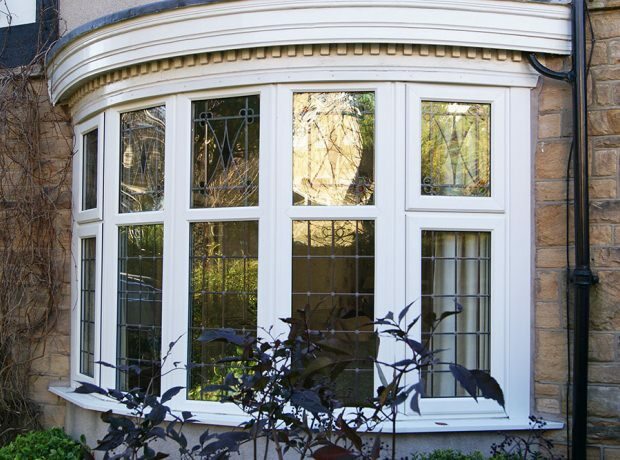 We offer our grand and beautiful Bow and Bay Windows throughout Peterborough, Northamptonshire, Cambridge, Lincolnshire, Buckinghamshire and Milton Keynes. Bay poles are expertly hidden within the window frame. This means that you can enjoy all the benefits of increased, and consistent robustness and rigidity without compromising on the beautiful appearance that these windows can bring. The design used in our bow and bay windows consists of a trim that has been carefully crafted to feature a contemporary twist. 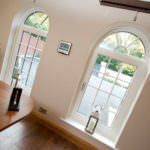 This effortlessly brings these windows into the modern age, whilst preserving their period character. To ensure low maintenance, all window sills are intelligently designed to eliminate dust traps, whilst simultaneously giving a consistent, and streamline effect. This means that your bow and bay windows will maintain their crisp, clean appearance with little effort. 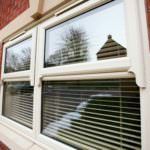 Our master craftsmen can easily transform your current flat windows into a bow or bay conversion. This will be done smoothly and efficiently, and we will ensure your windows are fitted to a standard that will bring complete satisfaction. 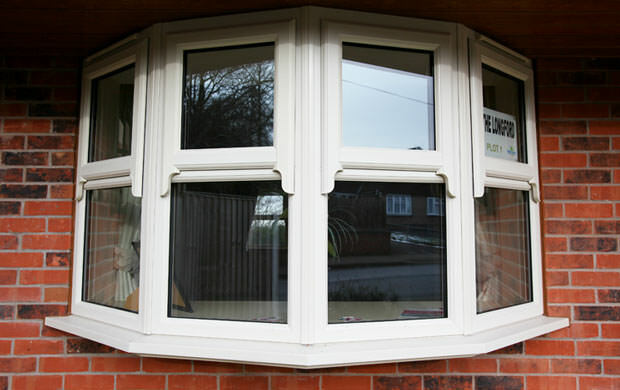 All of our bow and bay windows are fitted with the world-class, shootbolt locking system from Yale. These ensure the highest standards of home security available, and are accompanied with a 10-year mechanical guarantee and a £1,000 security guarantee to ensure you’re covered throughout. Bow and bay windows are innately beautiful, and you can even opt for additional ‘Dummy Sashes’ to create a consistent and even finish. This will ensure you achieve the best panoramic views possible, and allow large amount of light to flood into your home. 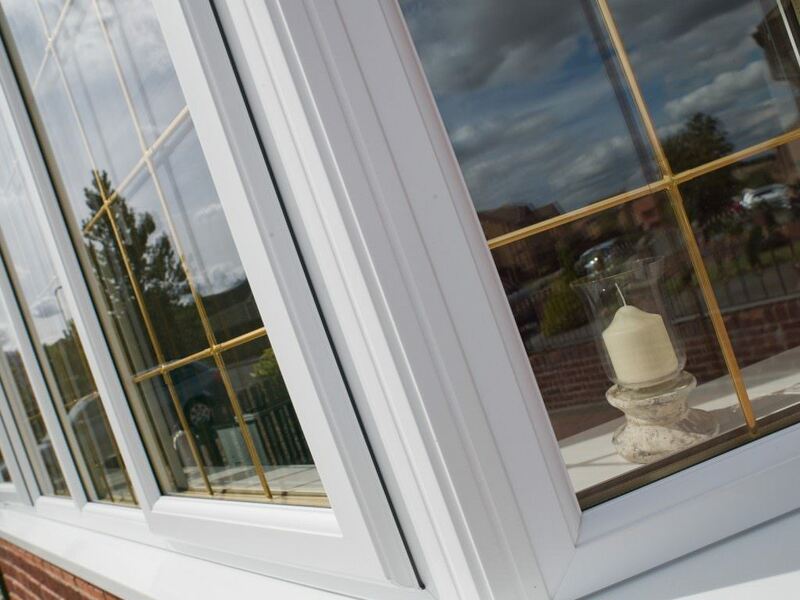 All of our Bow and Bay windows utilise the market-leading uPVC profile from Liniar. 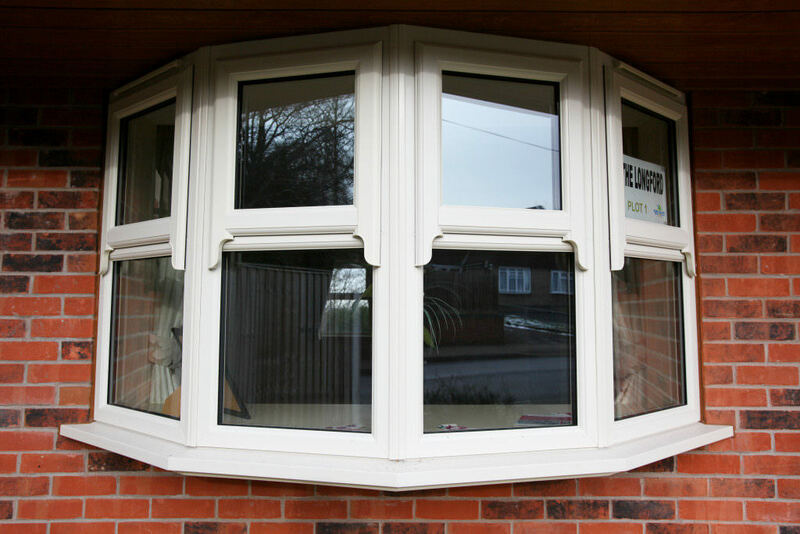 Not only is this the best that uPVC windows design has to offer, it will also bring a large number of benefits to your home. The Liniar uPVC profile offers exceptional thermal efficiency, allowing an unbeatable Window Energy Rating of up to A+14. This is achieved by utilising size-optimised chambers to break up convection currents and lock in currents of warm air. This is then combined with a unique ‘glazing flipper’ gasket and thermal dam to create an unbeatable standard of weather protection. Overall, the Liniar profile will greatly enhance the heat retention of your home, and will ensure that the heat stays in your home for longer. This increase in heat retention will not only save you money on your heating bills, it will also result in a decrease in your carbon footprint. The Yale locking system installed into all of our Bow and Bay windows are the best the world has to offer for home security. Not only do they offer an unbeatable standard of security, they are also covered by a 10-year guarantee. 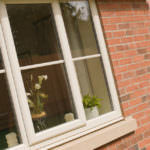 This means that their efficient operation is assured and covered for 10 years after their installation into your home. All of our Yale locking systems are also covered with a £1,000 security guarantee. This means that in the unlikely event of a break in, you can receive up to £1,000 towards your home content insurance. Yale have you covered, no matter what happens. 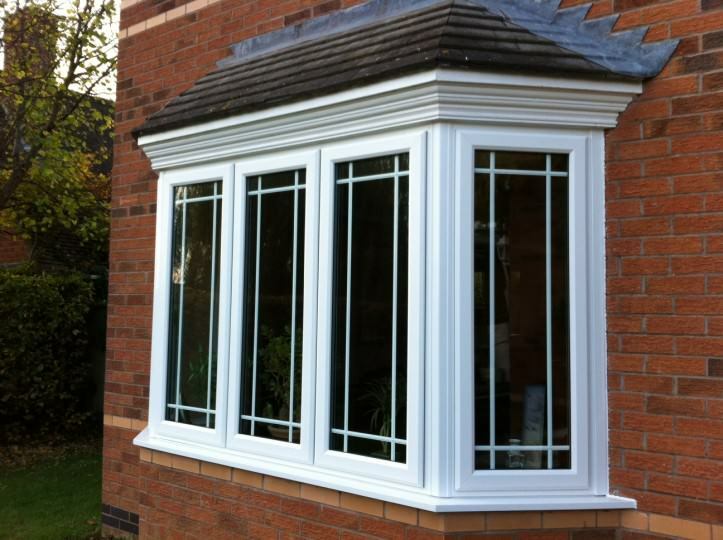 Interested in our bow and bay window prices? Get a free, instant online quote from us today and benefit from our highly competitive prices throughout Peterborough, Cambridge, Lincolnshire, Buckinghamshire and Milton Keynes. Alternatively, if you feel you need more information, you can get in touch via our online enquiry form, where you will receive a prompt and informative response, every time.